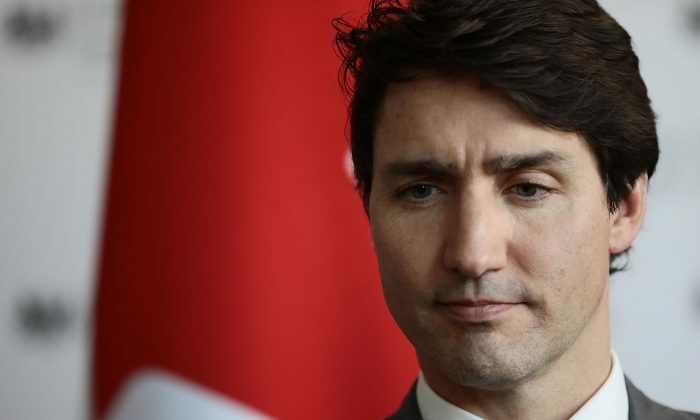 A new survey from the Angus Reid Institute reveals a majority of Canadians are not satisfied with how Prime Minister Justin Trudeau’s government has handled the deteriorating situation between Ottawa and Beijing. A majority of Canadians also feel that arresting Huawei CFO Meng Wangzhou was the right thing to do. Meng was arrested in Vancouver on Dec. 1, 2018, at the request of the United States. She’s awaiting a hearing while out on bail to determine whether she should be extradited to the United States to face charges including violating international sanctions against Iran. Canada has always maintained that it will respect the rule of law and that Meng’s arrest is not a political issue. China, however, has demanded her release, without taking into account the legal systems of Canada and the United States. China has threatened Canada with severe repercussions and has detained two Canadians in retaliation. A third has been sentenced to death for drug smuggling. The survey reported that 92 percent of Canadians feel the current situation between Canada and China is either quite serious or very serious. Nearly two-thirds (62 percent) of Canadians feel human rights and the rule of law should be more important for guiding Canada-China relations than business interests. And 44 percent of Canadians would like to see the Trudeau Liberal government take a tougher approach with China. Breaking this down further, the survey asked Canadians what kind of a job they thought the Trudeau government has done handling tensions with China. Fifty-two percent said either a poor or very poor job is being done and just 33 percent said the government is doing a very good or good job. Canadians have long felt China cannot be trusted when it comes to human rights. Canadian businesses have also warned the government of significant challenges in doing business in China. The Trudeau government got an earful from Canadians in public consultations back in late 2017. Further complicating matters, Canada’s ambassador to China, John McCallum, was fired last week for very poorly chosen comments regarding Meng’s arrest and extradition request from the United States. Angus Reid reported that Meng’s arrest is capturing the attention of Canadians more than tensions with Saudi Arabia and the NAFTA trade negotiations. Global Affairs confirmed on Feb. 1 that Canadian consular officials in China visited with Michael Spavor, who has been detained since Dec. 10, 2018. Consular officials are also seeking further access to Michael Kovrig, who was also detained in China shortly after Meng was arrested. Huawei and ZTE communication networks in foreign countries also are deployed weapons that assist China’s foreign espionage, surveillance, and warfare objectives.